The 1st quarter of this fiscal year kicked off with the execution of a series of community-based events and activities. The Minority Initiative Sub-Recipient Grant Office and Addiction Studies Program at UAPB leveraged numerous opportunities to speak directly to the target audience via mediums they most often frequent and attend. We’re off to a great start! 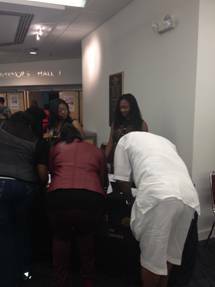 Additionally, the event was hosted by NBA champion and wellness advocate, John Salley. 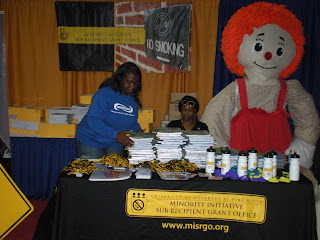 July 28th - The 1st quarter also allowed the MISRGO team to participate in a new event – the First Annual Back to School Kids Fair. 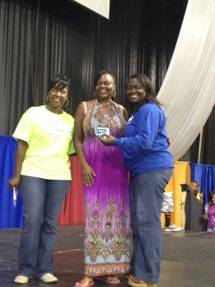 The Fair included free school supplies, backpacks, haircuts, immunizations, and physical examinations. It was an opportunity for the entire family and kids of all ages to enjoy games, face painting, jump zones, a balloon artist, vendors and much more! For MISRGO, the Kids Fair was an avenue to educate parents and youth about Act 811 and the overall benefits of tobacco prevention and cessation with the help of two MISRGO sub-grantees (Women’s Council on African American Affairs and We Care of Pulaski County) and Arkansas State Trooper, Wanda James. MISRGO served as a sponsor to the “Parent Corner” and had exclusivity for health-related communications. A total of 2,500 kids were served! 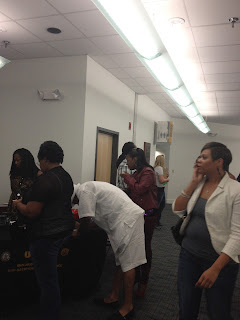 The approximate ethnic breakdown of attendees was 5% Caucasian; 6% Hispanic; and 89% African American. MISRGO received a total of 14 fax back referral forms. Additionally, 21 people decided to live healthier, smoke-free lives for themselves and their loved ones by calling the Quit Line while on site at the Fair. 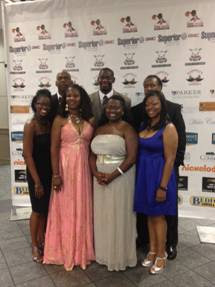 August 31st - MISRGO participated in the Delta Classic 4 Literacy “Old Skool” Concert once again this year. The event took place Friday, August 31st at the Statehouse Convention Center as part of the weekend-long activity line-up in support of the annual Delta Classic 4 Literacy football game. The Delta Classic 4 Literacy was designed to raise awareness about literacy improvement needs in the Delta region and raise money to fund literacy programs. Since 2006, $55,000 from the Delta Classic 4 Literacy has been donated to Arkansas Literacy Councils. MISRGO served as a sponsor for this concert. This year’s concert attracted approximately 3,100 R&B music lovers from across the State of Arkansas. September 13th – In support of the Coalition for a Tobacco Free Arkansas’ (CTFA) 10th Annual Striking Out Tobacco in Arkansas Conference, MISRGO assisted in the execution of the “Latino Leadership Networking Reception.” The reception took place directly following the Conference and attracted more than 40 public health advocates and anti-tobacco warriors across Arkansas’ Hispanic communities. MISRGO provided strategic event coordination and Public Relations support for this reception along with Maura Yancy of Hola! Arkansas. 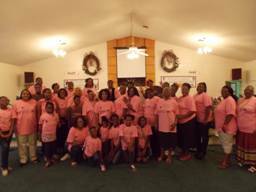 The Evergreen Baptist Church Tobacco Awareness Program (EGBCTAP), in El Dorado, AR, presented their third “Think Like a Woman… Act Like a Lady” event. Earlene Burns and Brenda Hegwood joined forces with EGBCTAP to present an eventful conference with pledges taken to quit smoking; disallow smoking in cars and homes; and consider training for the 40 Days to Freedom classes. More than 160 advocates from around the state celebrating public health successes from the past decade gathered for the Coalition for a Tobacco Free Arkansas’ 10th annual Striking Out Tobacco in Arkansas Conference in North Little Rock, September 13th, 2012. 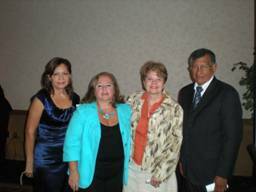 Tobacco advocates learned best practices from some of the nation’s top tobacco control authorities. 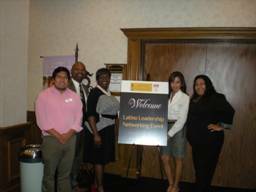 The Latino Networking Reception, sponsored by MISRGO at UAPB immediately followed at North Little’s Wyndham Riverfront Hotel. 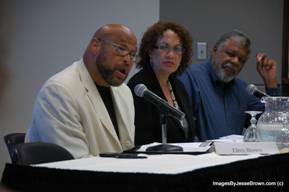 Elroy Brown, of the Mississippi County Coalition For A Tobacco Free Arkansas participated in a nationwide webinar with national known speakers Amber Bullock of the American Legacy Foundation of Washington, D.C. , and Dr. Phillip Gardiner, a public Health activist, administrator, evaluator and researcher, of the University of California, office of the President. One of the goals of the Mississippi County Coalition For A Tobacco Free Arkansas is creating tobacco free environments. Employees who work in smoke-filled businesses suffer a 25-50 percent higher risk of heart attack and higher rate of death from cardiovascular disease and cancer, as well as increased acute respiratory disease and measurable decreases in lung function. For information on quitting tobacco call 1-800-QUIT-NOW or visit www.misrgo.org.